Is there eBay in South Africa? Yes there is! This is my guide for the South African version of eBay and global shipping. Plus sites like eBay & equivalents. Click here to access the eBay store site in South Africa! The official domain for eBay in South Africa is pages.ebay.co.za — which takes you to the global version which is used by South Africans, both buyers & sellers. While the website is at it’s best as a global marketplace, you can also fine tune searches to specific locations, within South Africa, Cape Town, etc. Step 2.Choose the link that says “Advanced” next to search button. Step 3. Go down on that page to “Location” options. Equally you can use this trick to search items from other countries nearby, such as Nigeria, Egypt, Algeria, Angola, Morocco, Libya, Sudan, etc. You can also select whole regions, such as Europe & Asia for targeted shopping. Please note, that Asia often has affordable shipping with competitive pricing. The third option is to select a range in Kilometers from your location to narrow down your search into, this is the best way to cover most of the African region. The global eBay.com version of the website detects your location automatically, and should attempt to calculate shipping costs. You will also only see search results for items that support international delivery options. Therefore shopping & auctioning on eBay in South Africa should be no problem and doesn’t require any settings from your end. It’s also possible to register, login and select a custom country region if you are located outside of South Africa but want stuff sent there for example. 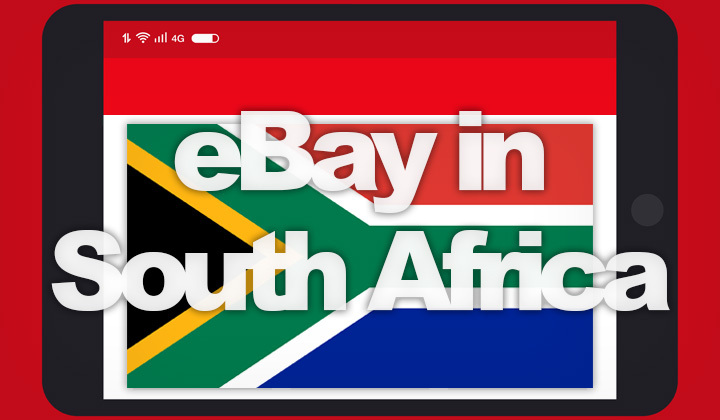 For international sellers, eBay is one of the best places to get in touch with the e-commerce community in South Africa. The company, provides a global shipping program which makes entering the market in English easier than competition, definitely worth considering! If you are looking for a e-commerce website that supports shopping and auctioning features similar to eBay, there are no exact equivalents in the country, however some sites are designed for listings for individuals, businesses or both. Know any more sites like eBay in South Africa? What’s your experience with shipping costs, and shopping there? Comments are most welcome and thanks for reading! Dear readers, I would like to make it somewhat clear that some hyperlinks in these posts are so called affiliate links which carry monetary potential towards the the author, which helps out financially and mentally to work on this blog. Most sincere regards, and please share if possible! David.